Mitigating the impacts of global change on ecosystems requires a mechanistic understanding of the processes underlying patterns of biodiversity. The Beckman Research Group investigates interactions between plants and their environment occurring over multiple scales and examines the role of these interactions in limiting plant populations and maintaining biodiversity. Many of these interactions are disrupted by global change, and we examine the consequences of these disruptions for plant communities and ecosystem functions. We use a combination of empirical and quantitative approaches to address our research questions. Our aim is to conduct transdisciplinary and actionable research that contributes to solutions of socio-environmental problems. Dec 19 Our proposal for a Focussed Research Group on developing "Novel mathematical and statistical approaches to predicting species' movement under climate change" has been accepted! Dr. Beckman and doctoral student Sarah Bogen will be heading to Banff International Research Station in July! Sept 10 Drs. Krishnadas, Beckman, Comita et al published new paper on "Environment and past land-use together predict functional diversity in a temperate forest" in Ecological Applications. July 22 Beckman and colleagues receive a research grant from ForestGEO to investigate "Adaptive Significance of Secondary Metabolites in Ripe, Fleshy Fruits"! June 18 Drs. Beckman, Bullock, & Salguero-Gómez find that species with fast life‐history strategies disperse their seeds further than slow‐living plants and published their results in Journal of Ecology. April The group welcomes new graduate students Sarah Bogen, Binod Borah, and Elsa Jos! November 16 Dr. Beckman presents "Extinction risk of plant species under global change" in the Ecology and Evolutionary Biology Seminar at the University of Connecticut. August 27 Welcome Eric Sodja to the Beckman Research Group! Oct. 13-15 Dr. Beckman is presenting at The National Diversity in STEM Conference, SACNAS. Sept. 18-23 Dr. Beckman will be participating in the BIRS workshop, Integrodifference Equations in Ecology: 30 years and counting. Contact us before Sept. 13 if interested. Call for speakers for #ESA2017 in Portland! We are proposing an Organized Oral Session on variation in dispersal. Aug. 7-12 Dr. Beckman presents SESYNC research on dispersal and life history strategies at the Annual Meeting of the Ecological Society of America. June 19-23 Dr. Beckman presents on "Spatial patterns of seed predation by a specialized invertebrate" at Annual Meeting of the Association of Tropical Biology and Conservation. Nov. 27 Dr. Beckman's research on seed dispersal featured on Friday's episode of Yale Climate Connections. Special Issue: The Role of Seed Dispersal in Plant Populations: Perspectives and Advances in a Changing World. AoB Plants. Beckman, N.G. 2013. 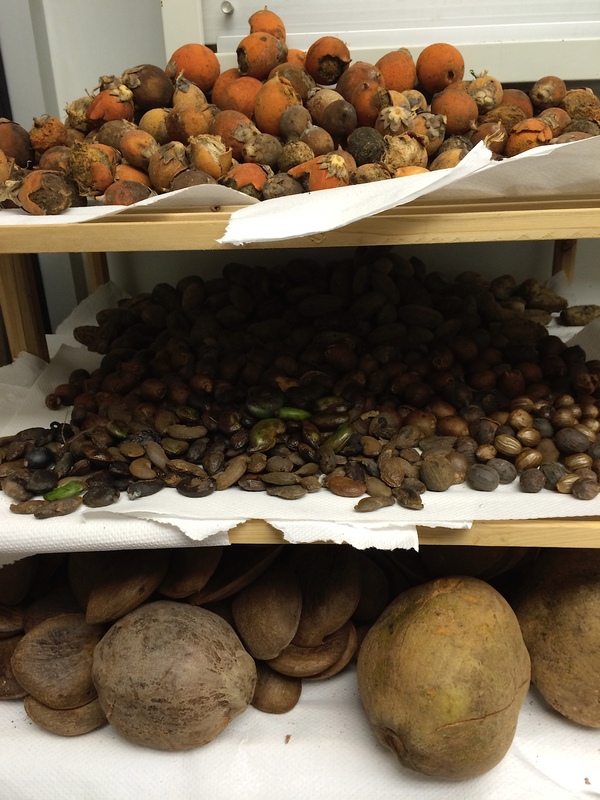 The distribution of fruit and seed toxicity during development for eleven Neotropical trees and vines. PloS ONE 8(7): e66764. Beckman, N. G. and H.C. Muller-Landau. 2011. 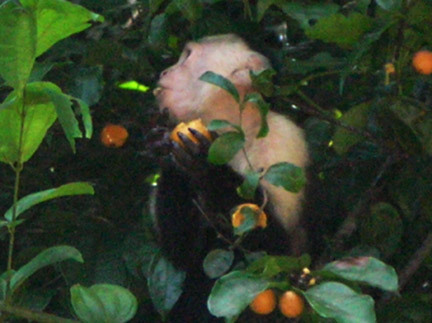 Linking fruit traits to variation in predispersal vertebrate seed predation, insect seed predation, and pathogen attack. Ecology. 92: 2131-2140. "Verde Elemental es una publicación digital de análisis y divulgación de investigación en ecología y ambiente en y para Latinoamérica. Dirigida por Carol Garzón López..."